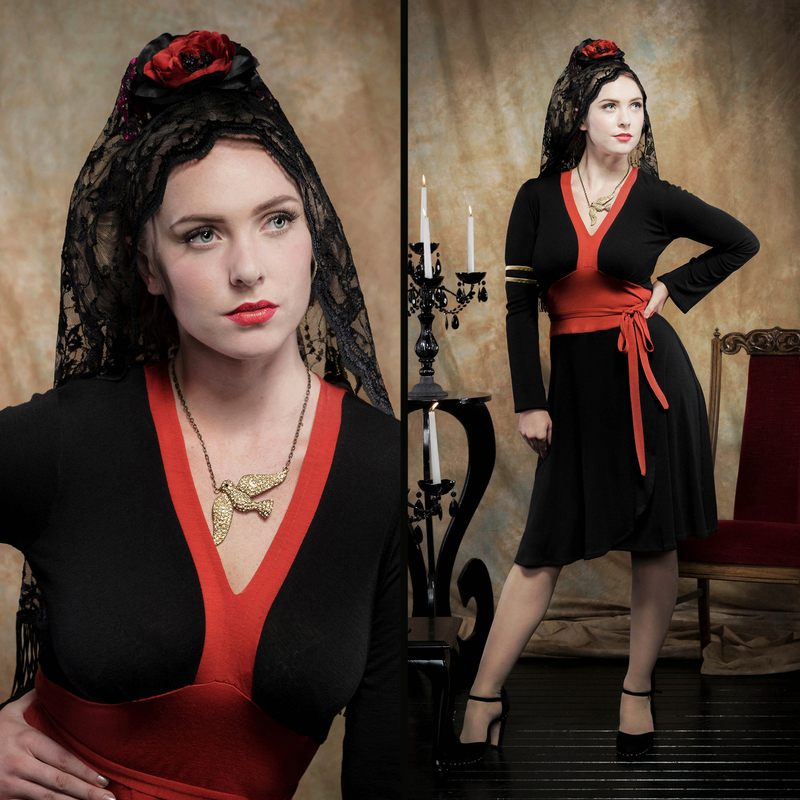 Beautiful Bella is wearing one of our new woolen knit dresses, The Catalonia Wool Dress. This is similar in style to our popular Venus Flytrap Wool Dress, but this time knee length (catering to those of you requesting shorter dresses). Seen here in BLACK/pumpkin. This dress is also available in BLACK/red, BLACK/aqua, BLACK/teal and BLACK/charcoal.